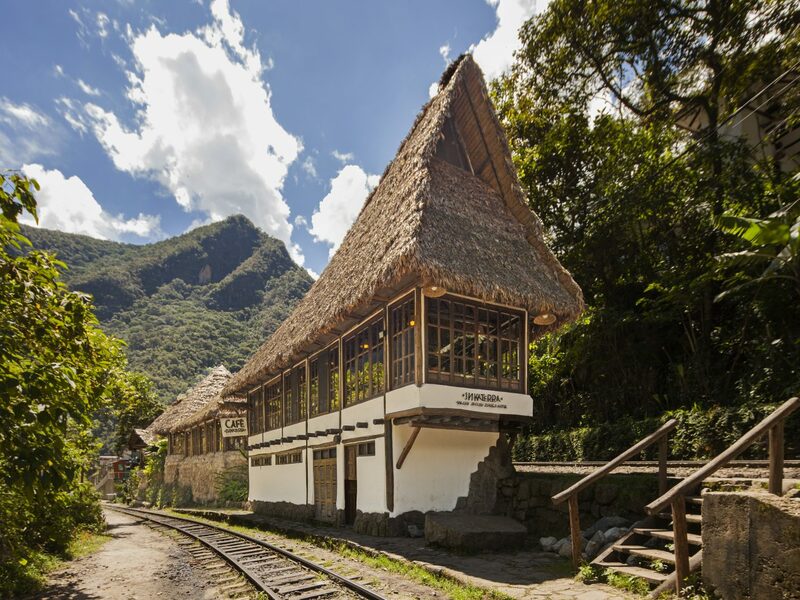 While many choose to get to Machu Picchu via the arduous Inca Trail trek, you can also take an easier path—namely, cruising up to Aguas Calientes, the town just below Machu Picchu, via the Inca Rail. 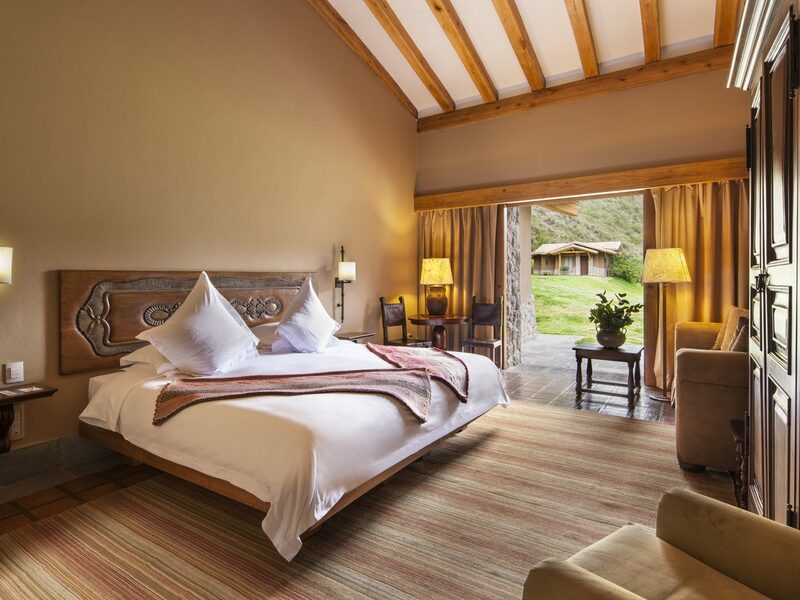 Along the way, we recommend taking a breather in other Sacred Valley towns like Urubamba and Ollantaytambo, where you can spend time relaxing at beautiful lodges, seeing other ruins, and horseback riding and hiking through the mountains as you acclimate to the high altitude. No matter where you choose to drop your bags, luxury is the way to go on this trip of a lifetime. 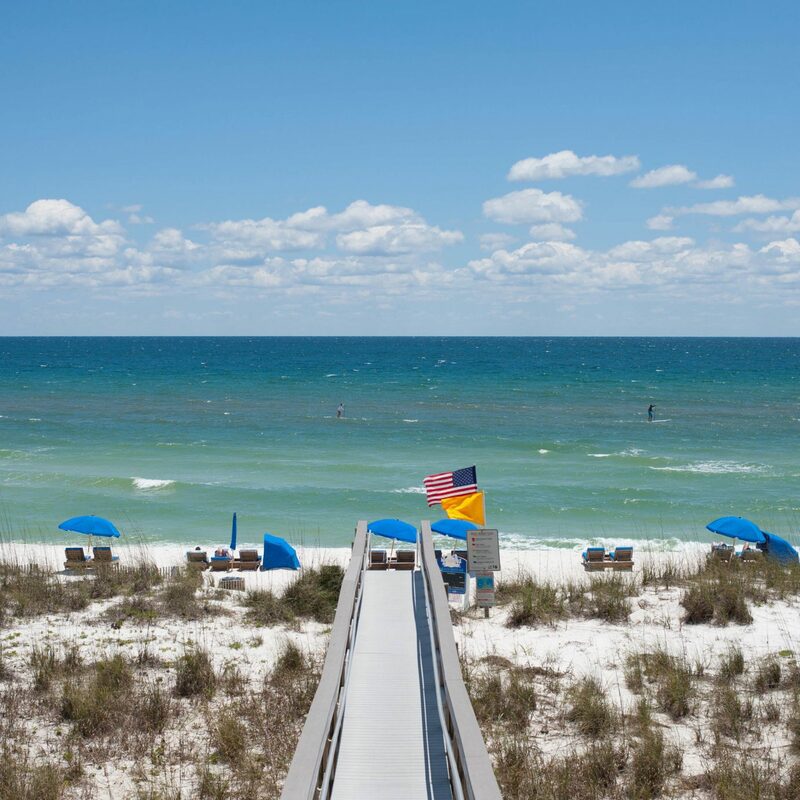 Below, seven lodges worth the paycheck. Aguas Calientes, the settlement right below Machu Picchu, once had a reputation as a touristy backpacker spot, but the 62-room SUMAQ Machu Picchu brings a fresh dose of elegance—and Peruvian authenticity—to town with its rich textiles, impressive artworks, and sumptuous red-and-gold color palette and ceramics inspired by traditional Inca designs. 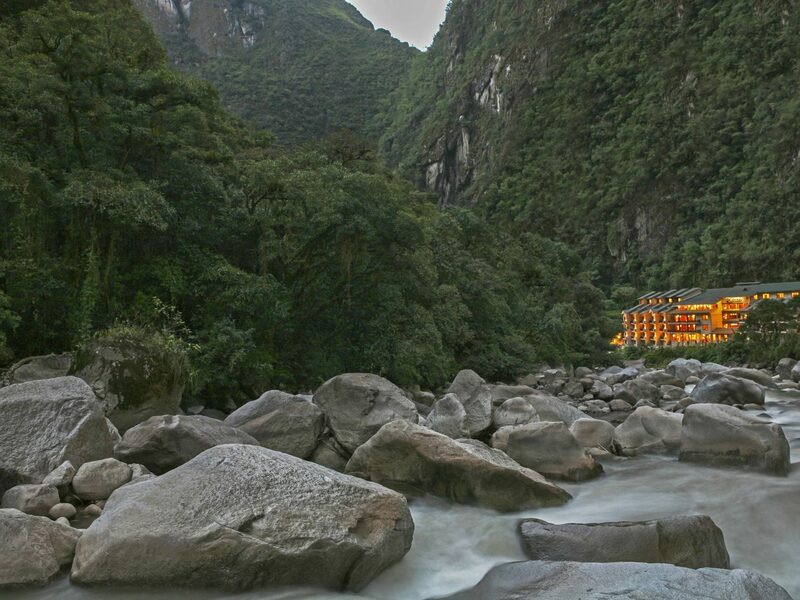 Request a river-facing room for the best views, including one of Machu Picchu Mountain itself. 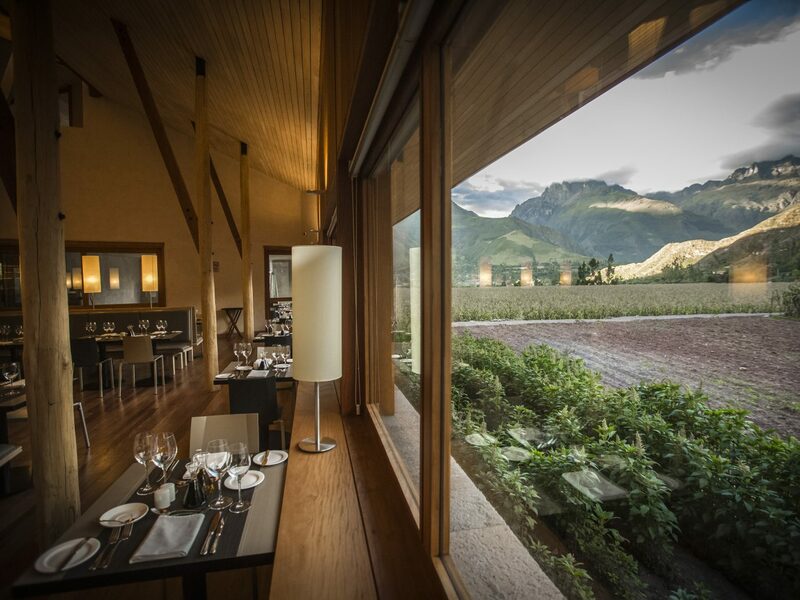 While the interiors are stunning, the hotel’s culinary program is the star of the show: Qunuq serves classic Andean cuisine prepared with ingredients special to the high-altitude regions of the Andes, or you can even take it a step further by participating in a Pachamanca feast, where your meal is cooked underground using ancient methods and paired with chicha—a sacred beverage made from fermented corn. Seeking an immersive—and truly unique—Machu Picchu experience? 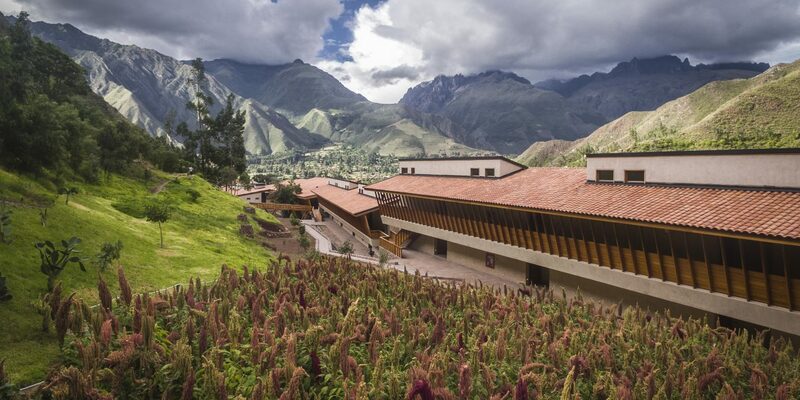 Tours booked though the hotel are led by Andean shamans, who will guide you through spiritual ceremonies and readings before exploring the citadel. The road from Cuzco to Ollantaytambo, where you can catch a train to Aguas Calientes (or begin the Inca Trail trek), crosses through Urubamba, a bustling town in the Sacred Valley. 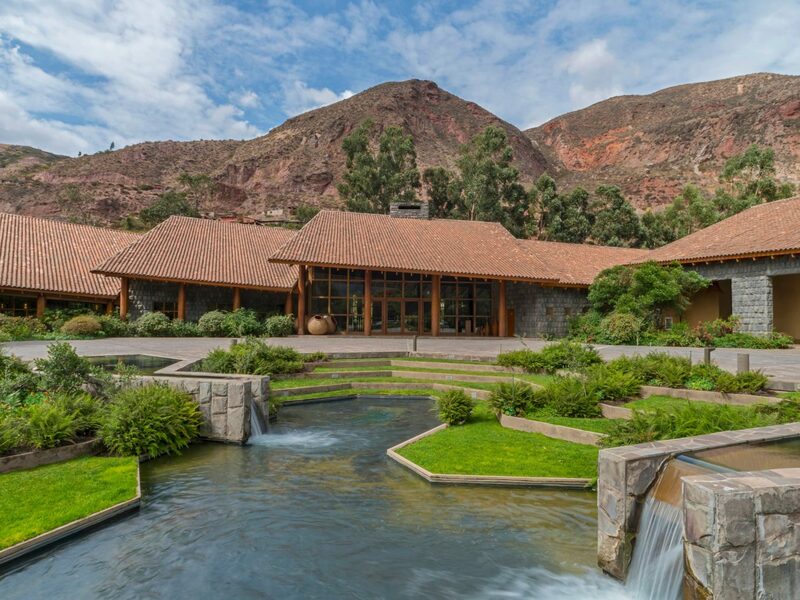 Set on the town's outskirts along the Urubamba River is Tambo del Inka, a luxurious lodge-like retreat that’s the perfect place to acclimate to the altitude on your way up or to soothe your body and mind after tackling the return journey. 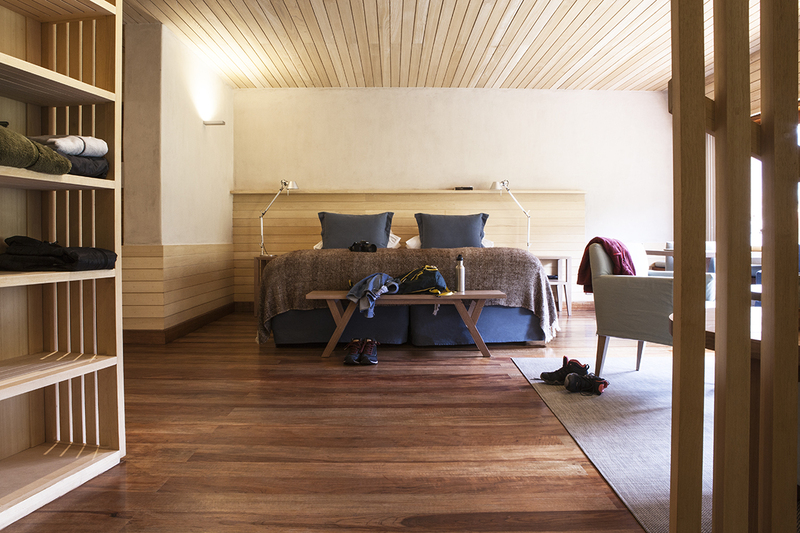 Guest rooms are sophisticated and modern with balconies and marble bathrooms, while the public spaces take on a grand, rustic aesthetic with exposed beams and large fireplaces. 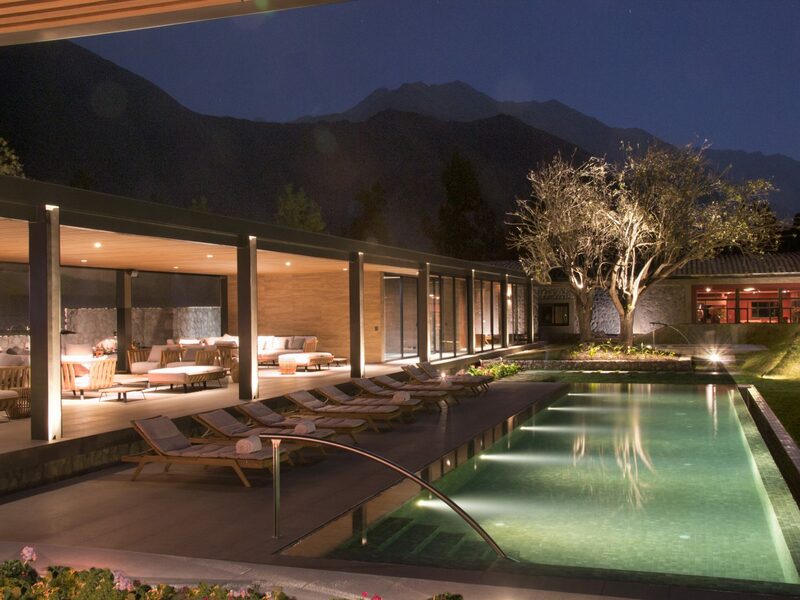 The property’s highlight is the 20,000-square-foot spa, which has a heated indoor-outdoor pool that’s open year-round. 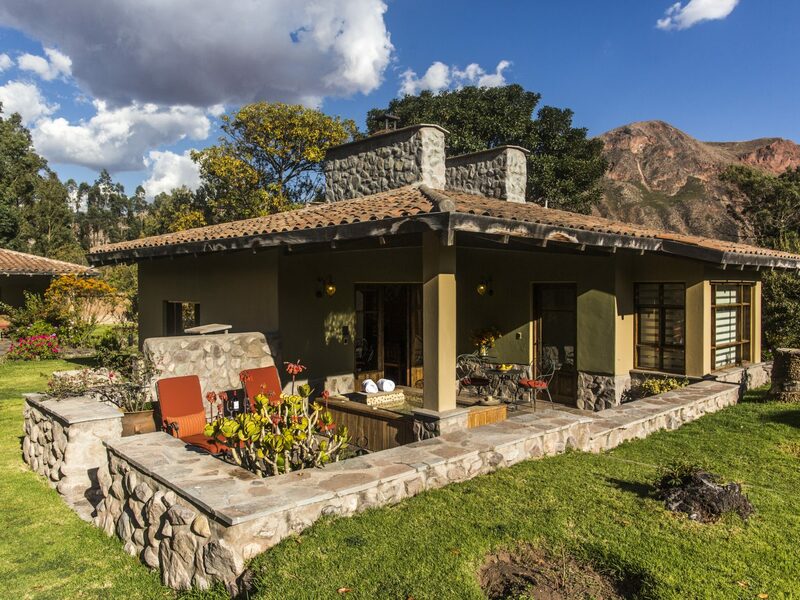 Embrace your inner cowboy with a stay at Sol y Luna, an equestrian-driven luxury resort in Urubamba. The property has stables housing dozens of Peruvian Paso horses, and you can set up rides or catch equestrian shows every day. 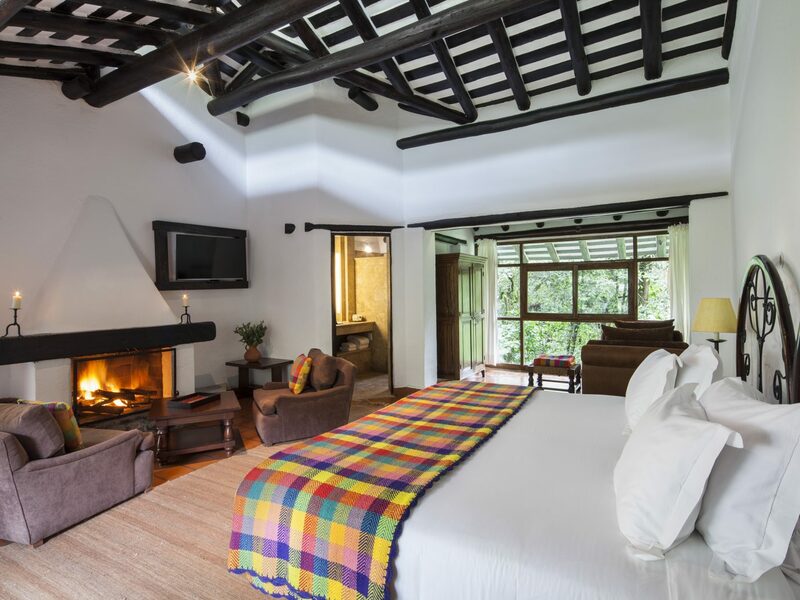 As rustic as that sounds, though, you won’t be roughing it here: the Relais & Châteaux member has 43 standalone casitas including premium suites featuring luxurious soaking tubs and private terraces with whirlpools. 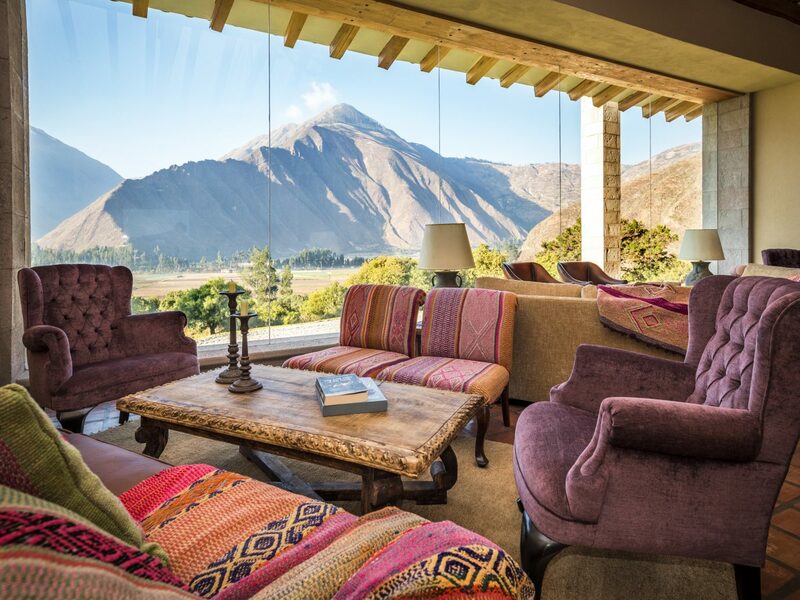 While the hotel can organize plenty of outdoor adventures—aside from horseback riding, there’s kayaking, quading, and guided excursions to ancient Inca sites—it also caters to culinary and wellness crowds with fine-dining restaurant Killa Wasi and spa treatments that incorporate organic products made from indigenous Andean ingredients. 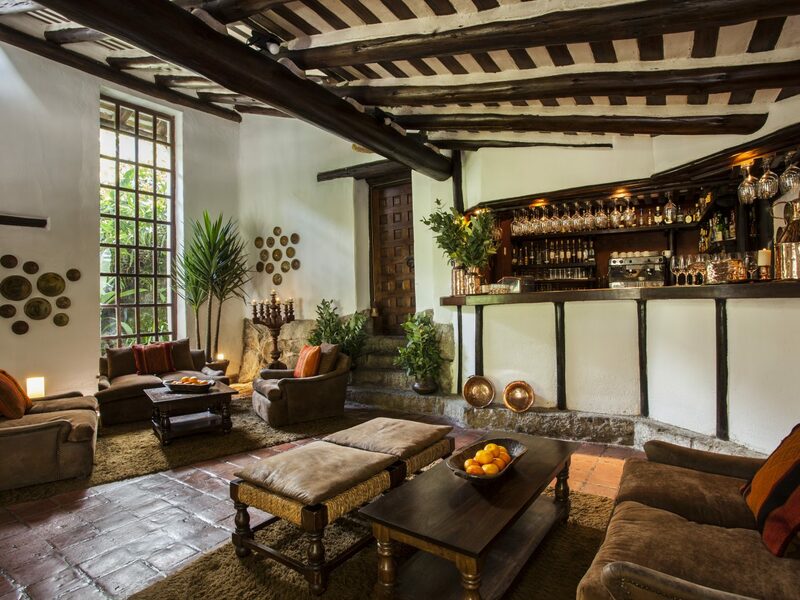 As its name implies, the 100-acre property known as Inkaterra Hacienda Urubamba is styled after a hacienda, or Spanish-style estate. 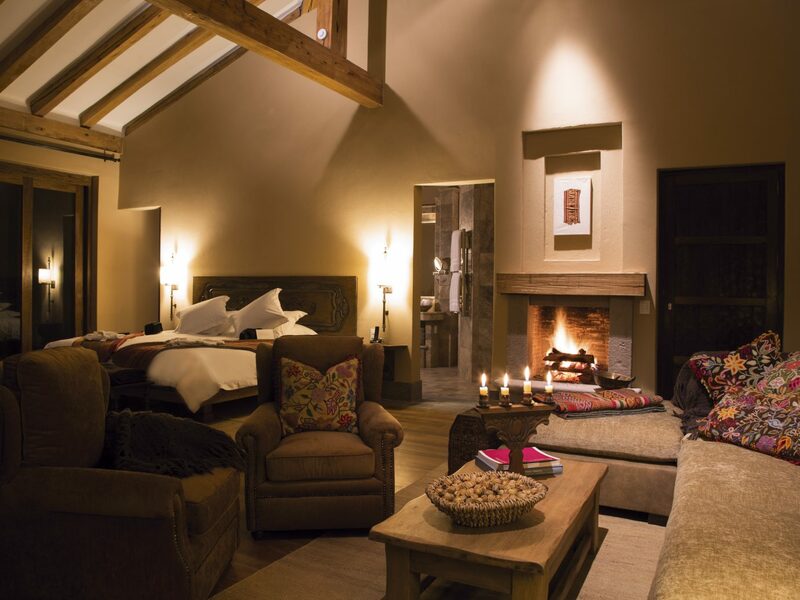 Located about 20 minutes outside Urubamba, the large main house combines rustic, lodge-inspired architecture with colonial-style furniture and brightly hued Andean textiles—a look that carries through the individual casitas across the grounds, equipped with fireplaces, alpaca-throw-covered sofas, and giant window views of the mountains. 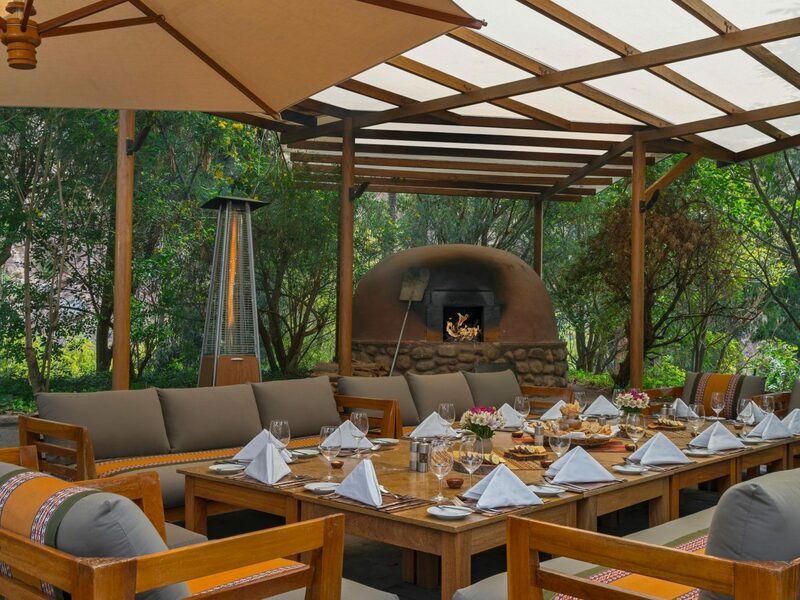 There's also a spa and a restaurant, but what makes the property unique is its ten-acre plantation that grows produce (quinoa, corn, potatoes) featured on every menu. After finishing off your welcome cocktail (a pisco sour—what else? 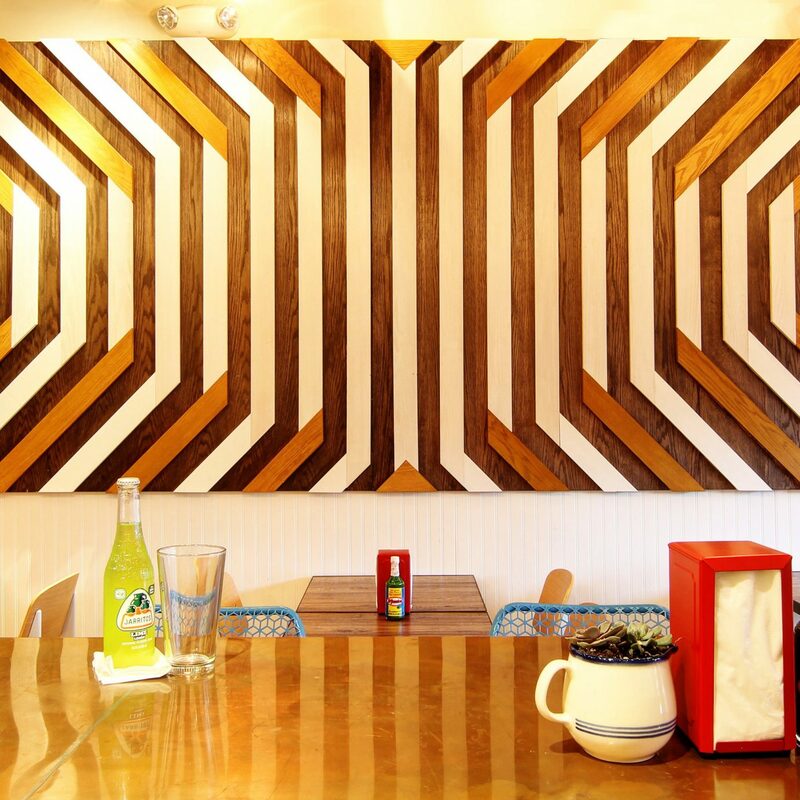 ), ask the staff about their organized activities and excursions, which include trips to local villages to chica tastings in the onsite chicheria. 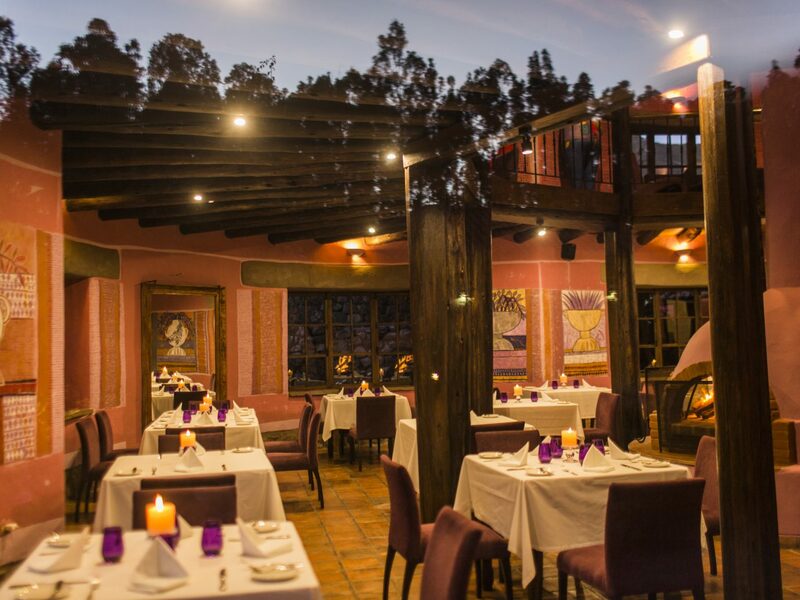 While the majority of hotels on this list sit within a town, relative newcomer Explora Valle Sagrado is a more remote option, tucked between ancient quinoa terraces and corn plantations about half an hour outside of Urubamba. The low-slung wooden lodge is modern and minimalist, with vaulted ceilings, red adobe-style bathroom walls, beams everywhere, and not a single TV in sight—all the better for mingling with fellow guests after your day's adventures. 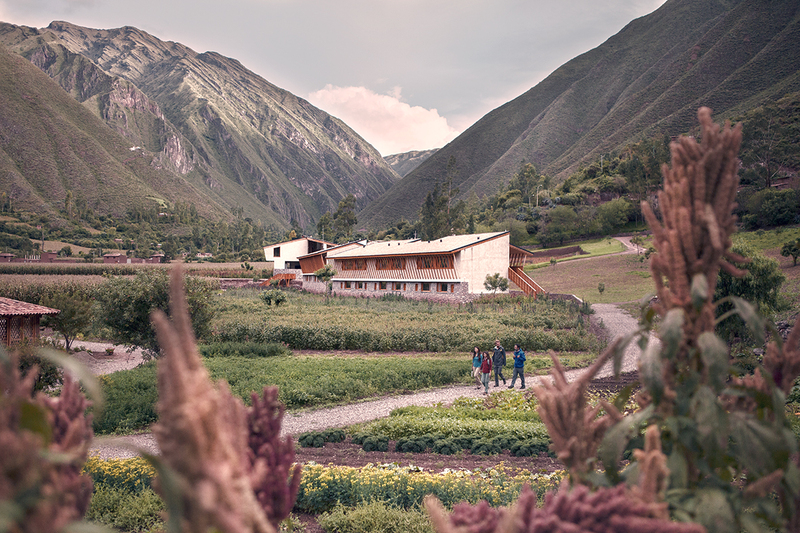 That's because, although technically an all-inclusive property, Explora's program goes well beyond three meals a day: guests are free to choose among daily excursions, such as hikes through the mountains, visits to ancient sites (Machu Picchu costs extra, though), and bike rides through Inca farmland. You won't even miss WiFi while soaking in the spa, set in a 17th-century colonial house in the corn fields. 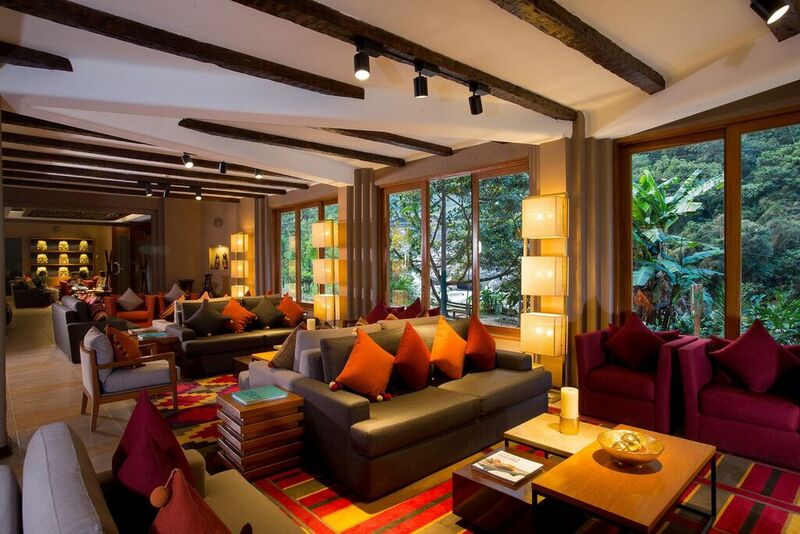 Inkaterra has five luxurious—and eco-friendly—properties across Peru, one of which is set on 12 acres of woodland on the edge Aguas Calientes, adjacent to the railroad and the Vilcanota River. 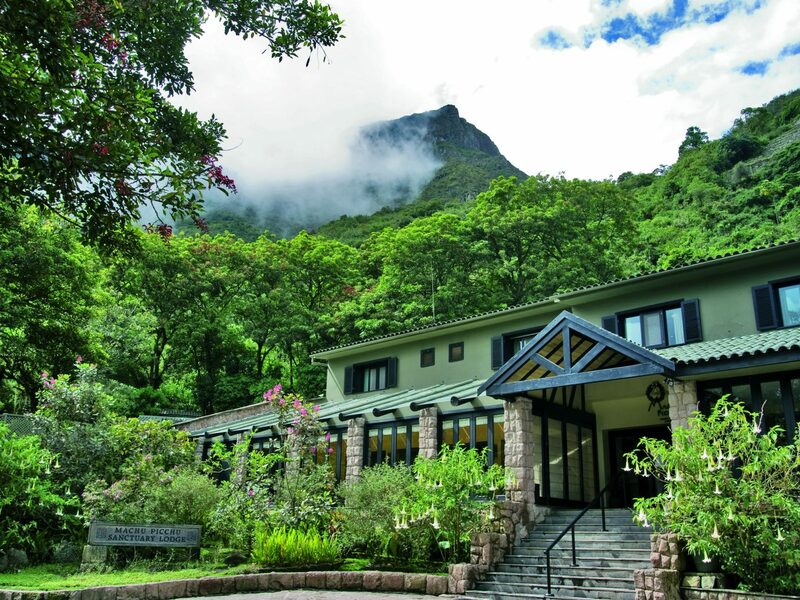 Despite its dramatic setting, the hotel feels rather intimate, with just 81 colonial-style casitas connected by stone pathways and separated by pockets of cloud forest dotted with waterfalls and orchids. 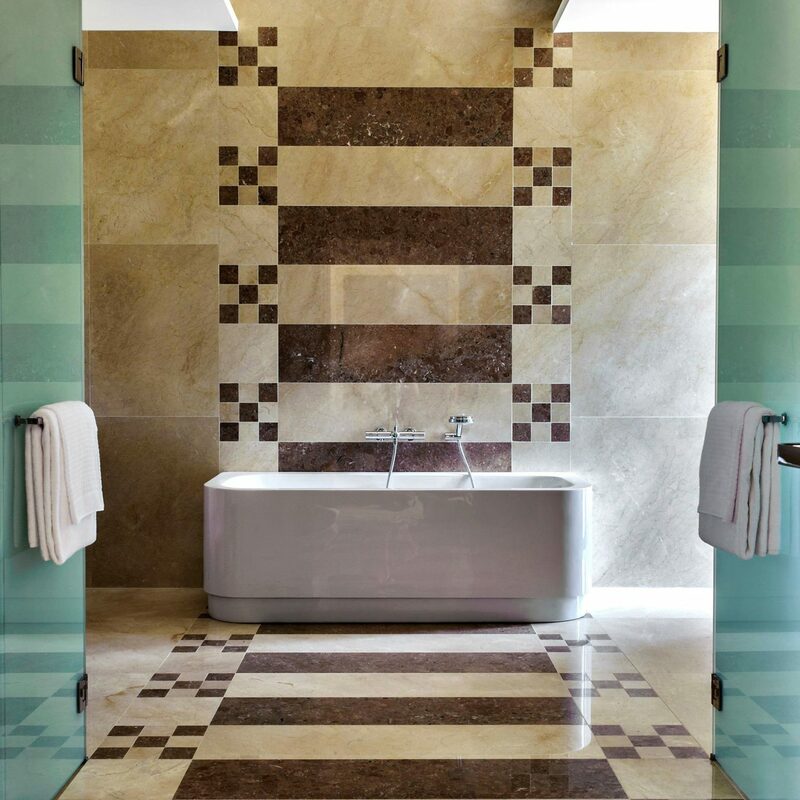 Standard rooms feature beamed ceilings and garden views, but we suggest splurging on a suite for perks like fireplaces and outdoor showers (or a villa for butler service and your own private plunge pool). 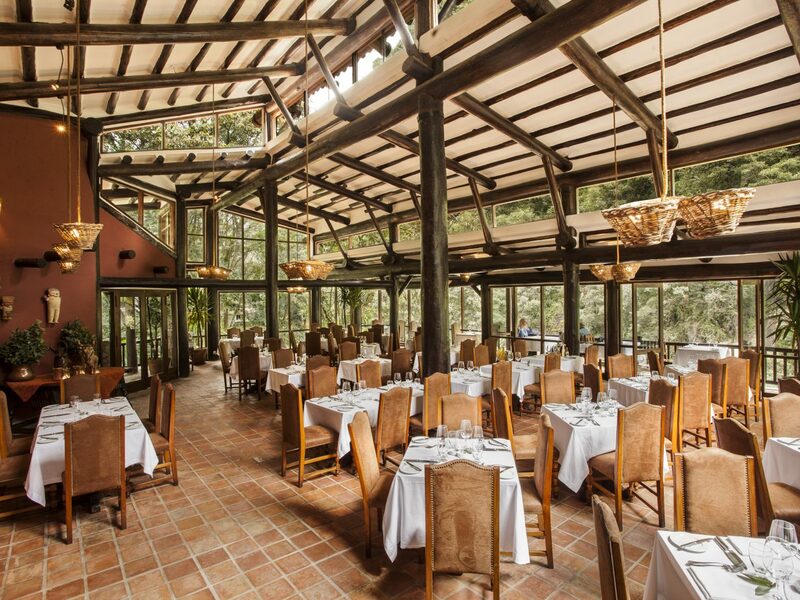 Dining options include the casual Café Inkaterra, which looks over the railroad, and a formal dining room for dinners highlighting local ingredients like alpaca meat, cheeses, and trout. 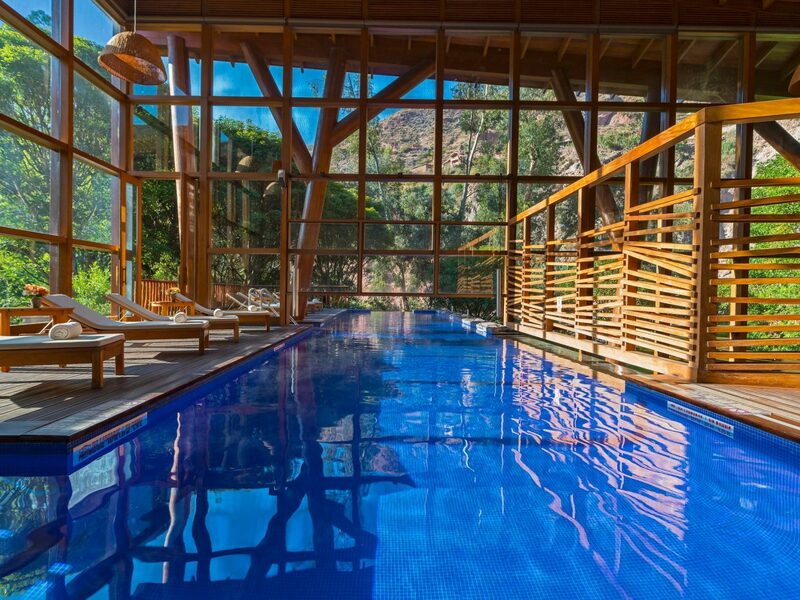 Don't miss the spa—if only for a turn in the Andean eucalyptus sauna. But there are so many reasons to stay in. 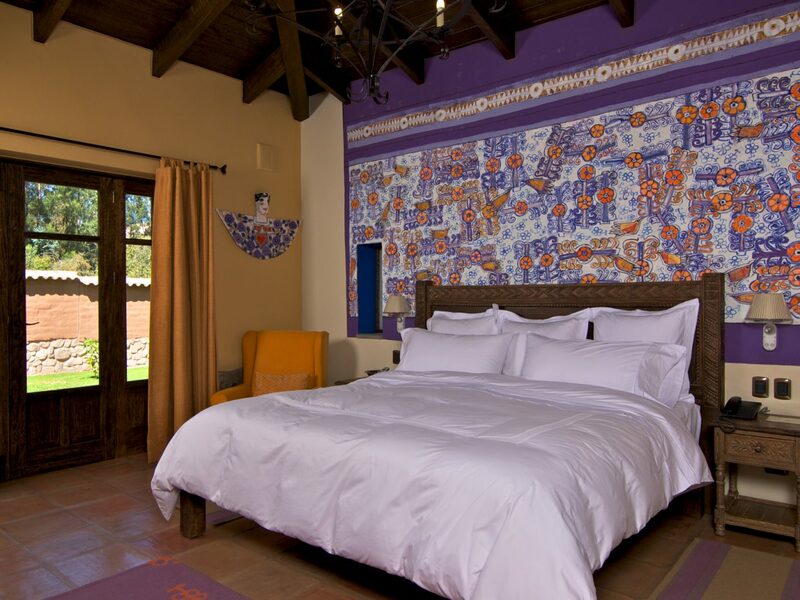 85 rooms and suites decorated in a classic Spanish Colonial style are spread about the property, all outfitted with local craftsman-made furnishings and alpaca blankets on the beds. 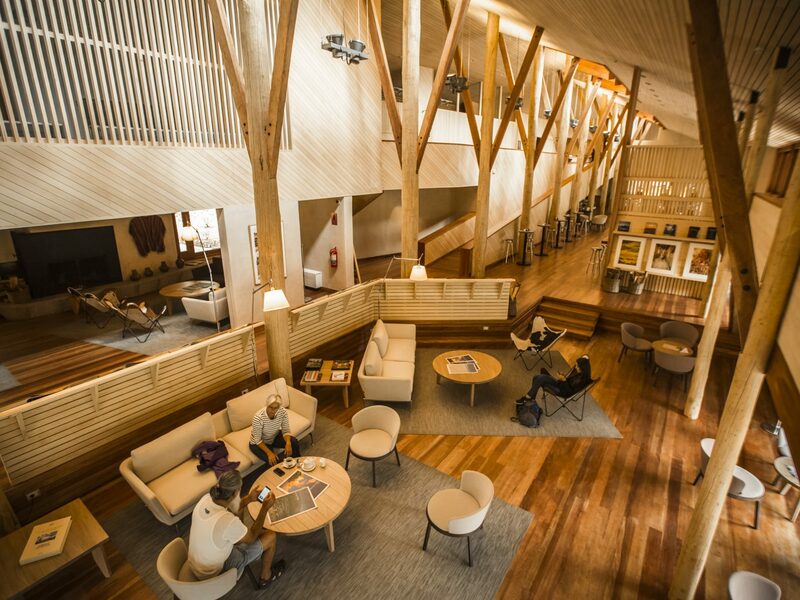 Slippers are made from recycled material, the bath products are environmentally friendly, and despite the wood-burning fireplaces, Inkaterra as a whole is fully carbon-neutral. 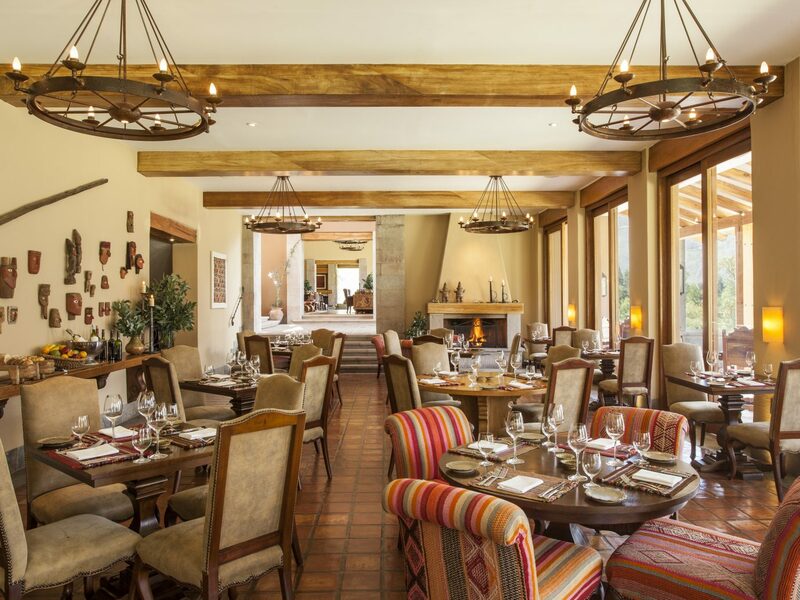 A restaurant serving upscale Andean cuisine and a full-service spa drive home the point that this is a luxury hotel, however rustic and earth-friendly. 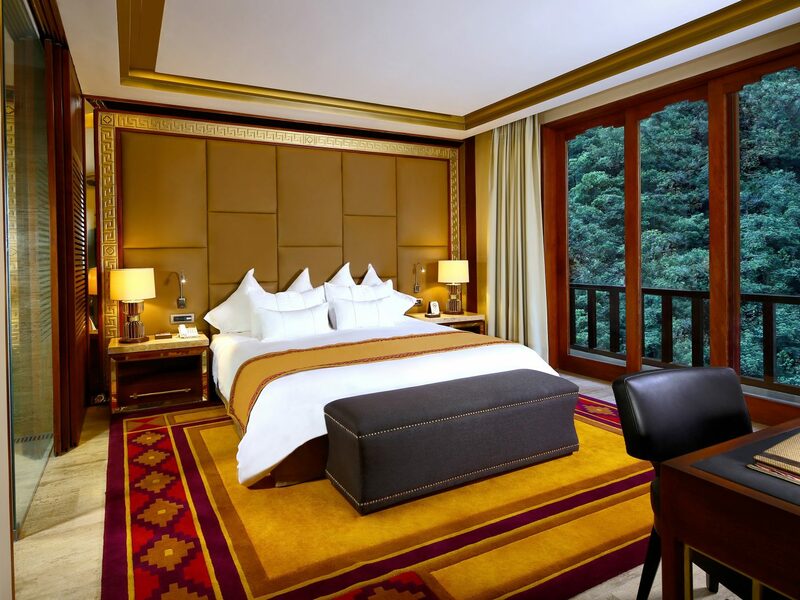 Ultimately the hotel, though, is only part of the story: you’re at Machu Picchu to see the citadel, which is a half-day trip from Inkaterra, complete with an expertly guided tour. 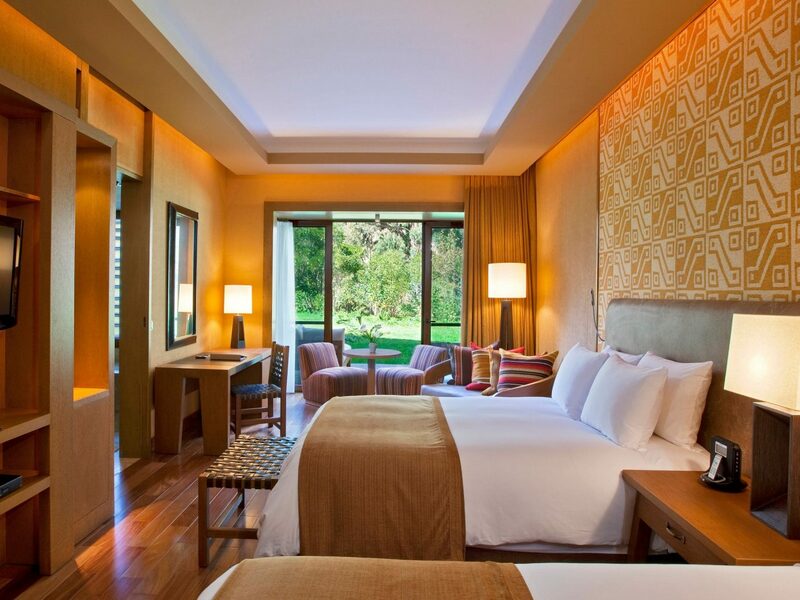 Looking to stay as close to Machu Picchu as possible? 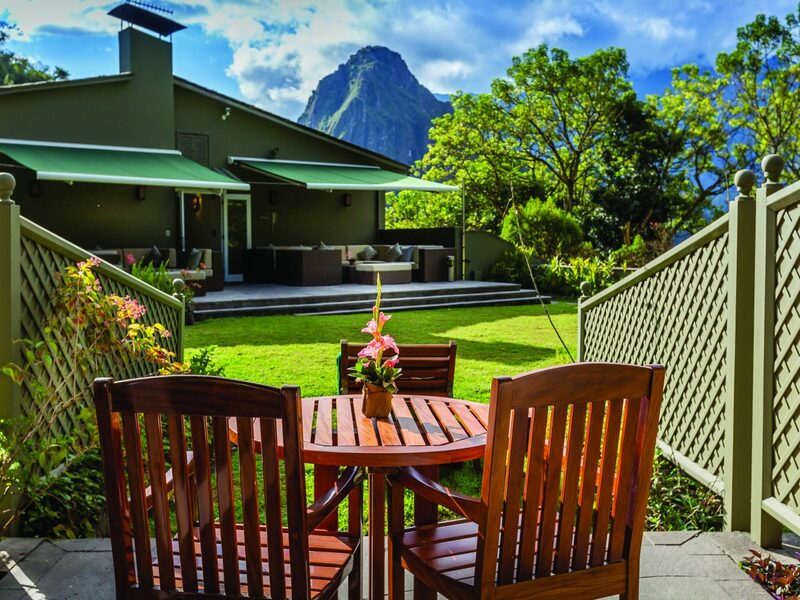 It doesn't get much better than Belmond Sanctuary Lodge, which sits right at the entrance gate—a 30-minute drive up the mountain through numerous hairpin turns. 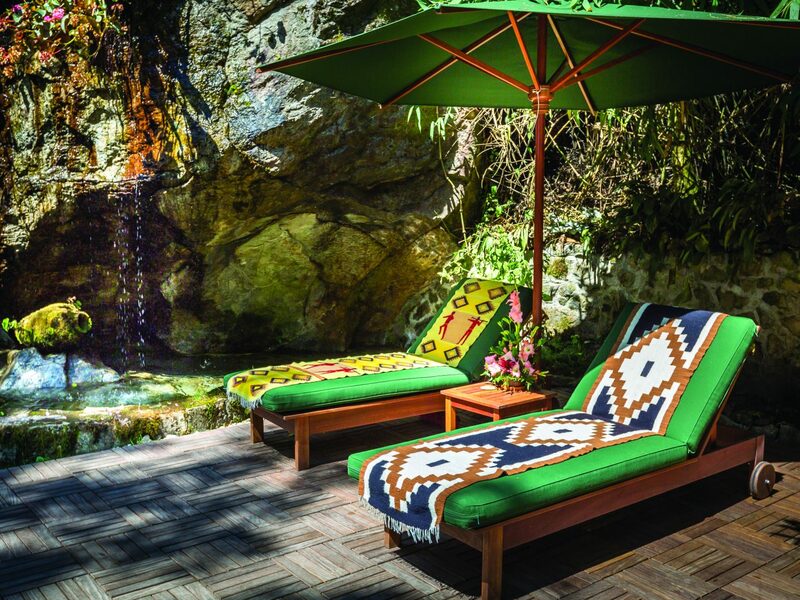 Although the exclusive 31-room property doesn’t have much in the way of amenities (Machu Picchu is the main attraction here), there is a spa, an orchid garden, and a restaurant whose meals are—thank goodness—included in the rate. 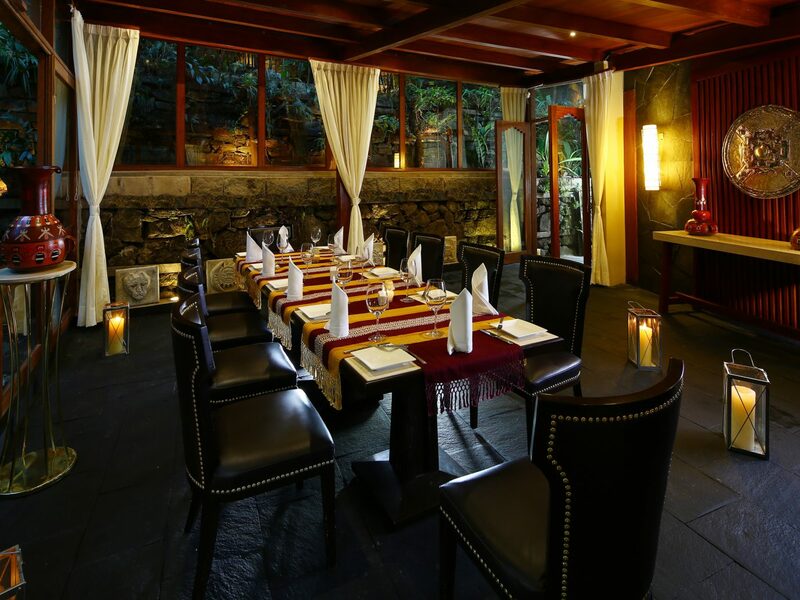 (You'll have to trek all the way back down the mountain to Aguas Calientes for any other restaurant option.) 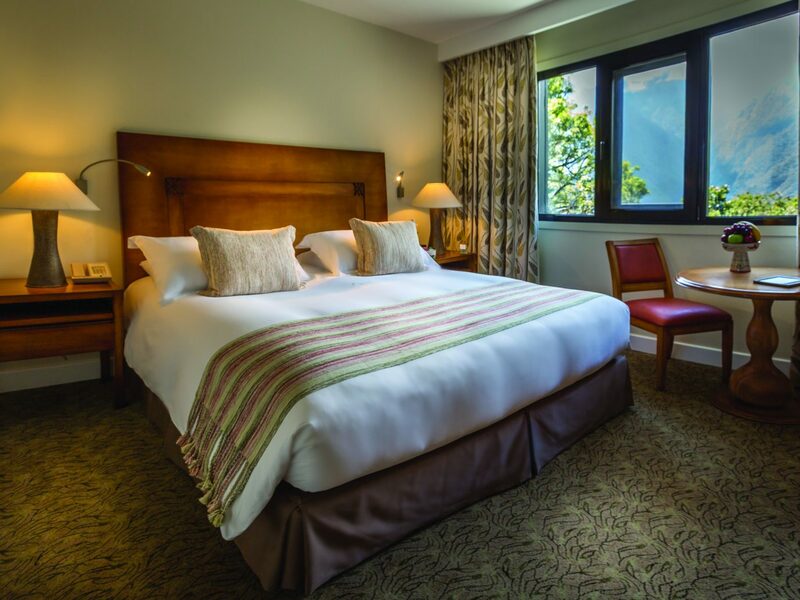 Guest rooms are comfortable and thoughtfully designed, if modest, so opt for one with a terrace to enjoy the breathtaking views of the mountains around you. The only other caveat is that location comes at a cost—the Machu Picchu entrance outside the hotel can get quite congested with tourists and the buses that ferry them up the mountain.